Costume Contest at approx. 11:15pm; Film begins promptly at 11:45pm. 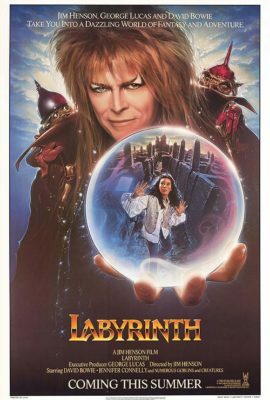 “Prepare to dance magic dance as we ring in the New Year and celebrate the great David Bowie with a late-night screening of the ‘80s classic, Labyrinth, in a brand-new interactive SING AND QUOTE-A-LONG edition, featuring custom onscreen subtitles that will help you live the fantasy with Jareth, Sarah, Hoggle and friends! Tonight, New Year’s Eve 2017 — count down to 2018 at the Loft theater. Be there in costume to welcome in 2018.